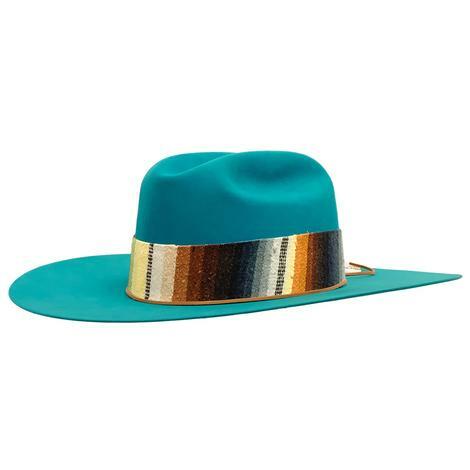 The Totem by Greeley Hat Works is made from a beautiful and texture rich turquoise felt and features a farm to fashion C3 feather with a multi-colored serape headband that's sure to grab everyone's attention in the room. The brim measures 4 1/4 inches. Add this beauty to your collection today while supplies last! 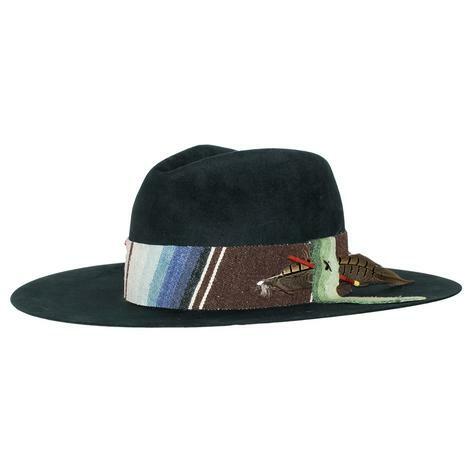 This unique felt hat is handmade with a pure black velour felt and features a farm to fashion C3 feather with serape hat band. Each hat is handmade in Greeley, Colorado.